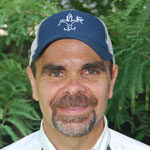 Dorsey registers for tournament online at 1:30 Sunday, catches redfish at 3 p.m. Lesser fishermen likely would have thrown in the towel, and probably been cutting grass, firing up the grill or working on odd jobs around the home or camp. Subtropical storm Alberto forced him to change up his original plans to head offshore out of Grand Isle this weekend. But the Youngsville angler had been working on the engines on his Fountain and wanted to run the boat, so he decided to stay closer to home. But things still weren’t going his way …. (or maybe they actually were, but he just didn’t know it at the time). 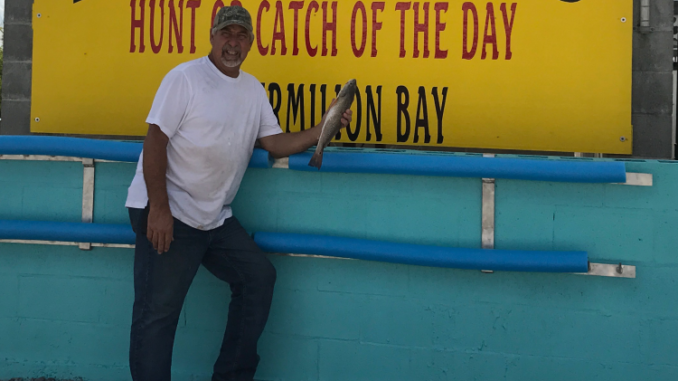 “One of the engines was giving him problems, so he said, ‘Well, we have rods and bait — we just as soon fish somewhere.’ So they stopped at Dry Reef right there in the middle of Vermilion Bay and caught the tagged red about an hour from when he left,” said Rad Trascher, Louisiana’s STAR tournament director. Yep, about 90 minutes after registering online on his way to the boat launch, Dorsey’s persistence was rewarded with the very first Coastal Conservation Association’s STAR-tagged redfish for 2018. Pending a polygraph, he’ll win a brand new 2018 Chevy Silverado from the Super Chevy Dealers of Baton Rouge, Acadiana and New Orleans. Unfortunately, Dorsey was not a subscriber to Louisiana Sportsman magazine, so the $10,000 bonus prize is still available to the first STAR-registered angler who catches a tagged redfish and is also a current subscriber. Anglers must have subscribed to Louisiana Sportsman at least one day prior to catching any eligible tagged redfish to claim the bonus, so don’t put off subscribing. So 39 hours into the 2018 STAR, the truck looks like it’s off the board. The good news is hundreds of thousands of dollars in prizes remain up for grabs. “We almost always have a winner the first weekend. As far as timing goes, I’m not sure it’s a record, but it’s pretty early for sure,” Trascher said. “The good news is that’s just one of a hundred fish. There are plenty left around the state, as well as in Vermilion Bay. “So get registered. It’s not too late. Now we have four Nautic Stars up for grabs, and then five Gator Tails. For details, updated tournament rules or to register, click here.